Brown Brown: Welcome Home, Maddy Paddy! 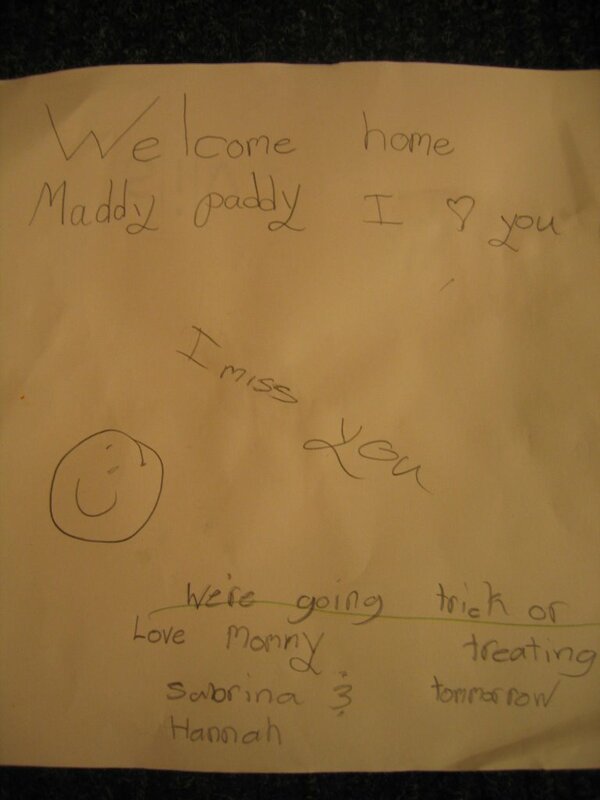 I was in Boston on business from October 22-27, and when I got home, I got this wonderful note from my kids. It was great to see my kids and this note after a rough week in Beantown! That story will be posted soon. 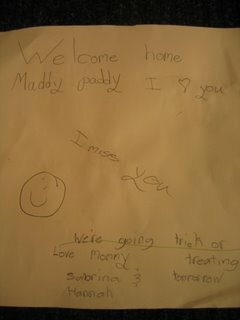 Oh ya, I got this nickname of Maddy Paddy from my kids. Not sure how they came up with that but it's funny and cute.